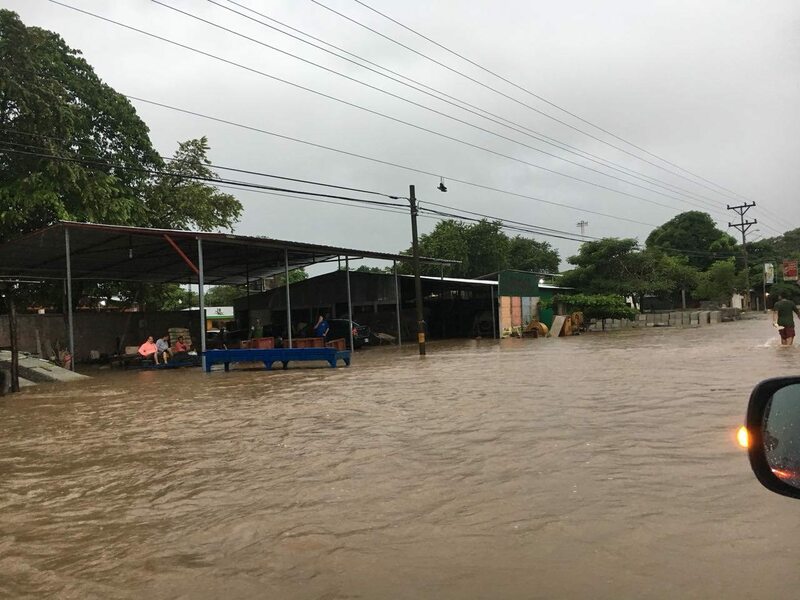 The rains that began on Wednesday morning in Costa Rica are especially affecting Guanacaste, and while the rains in the Central Valley are expected to stop on Friday they will extend through the weekend in Guanacaste, reaching peak intensity on Thursday. In a press conference, National Emergency Committee President Ivan Brenes said that Guanacaste is the hardest hit by the tropical depression. 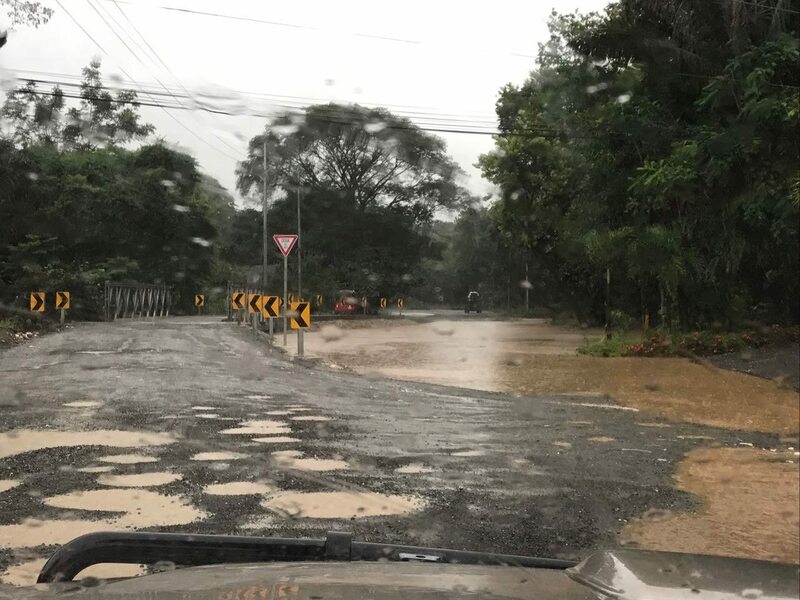 The province received as much as 100 millimeters of rain on Wednesday morning, about half of what Libera received in rainfall in the entire month of September 2016, according to the National Meteorological Institute (INM). The rain has caused flooding and fallen trees in the province. About 70% of calls that firefighters received on Wednesday came from counties in Guanacaste, mainly Carrillo, Santa Cruz, Abangares and Nicoya. This is how El Coco looks. Photo: Nury Hernández. The National Emergency Commission has received reports of more than 200 incidents from 17 of Costa Rica’s counties. According to Ivan Brenes, the counties of Bagaces, Carrillo, Hojancha and Santa Cruz are the most affected. 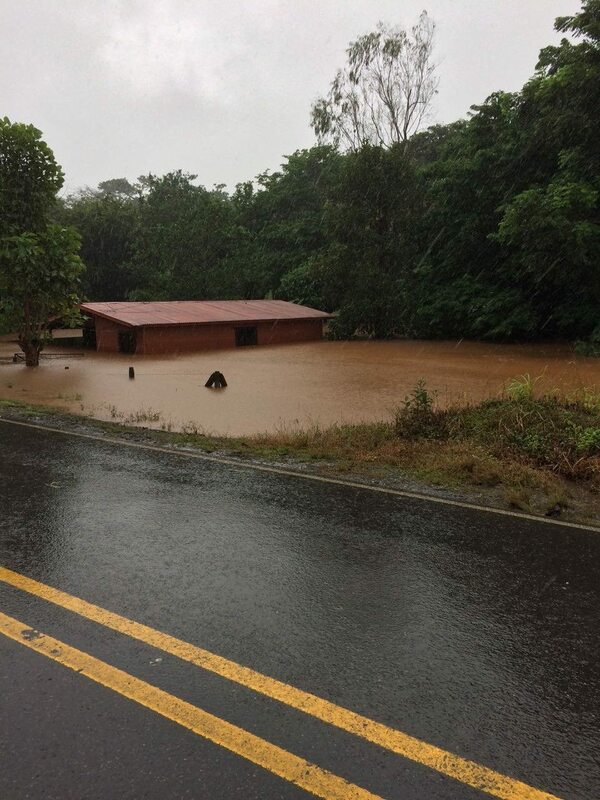 In Guanacaste there have been reports of fallen trees and branches because of the high winds and strong rains and flooding since our province’s soil is saturated (full of water). Since Guanacaste’s land is flat, this makes the province more vulnerable to flooding. According to IMN Director Juan Carlos Fallas, rains have increased since September 21 and the current tropical depression has further soaked already saturated soil. Bridge over Sube y Baja Creek, in Nosara. Photo: Brian Bombard. Why does the storm affect us so much if it is in the Caribbean? While the tropical depression formed in the Caribbean, the Atlantic side pulls wind from the Pacific. When this wind runs into the mountains it forms clouds that drop rain, Fallas said in a video published by CRHoy. Besides the rain, there are reports of strong winds and high tides from Tropical Storm Ramón off the Pacific Coast of Mexico. 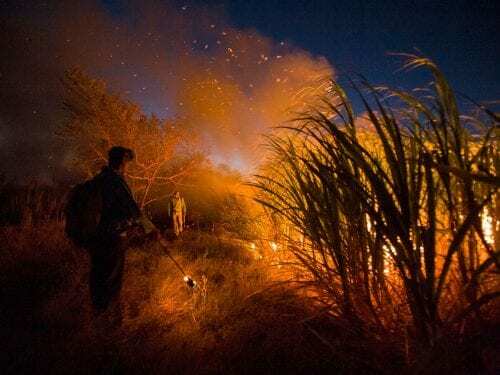 For security reasons and to prevent major catastrophes, the National System for Conservation Areas decided to close four national parks in the province: Santa Rosa, Rincón de la Vieja, Barra Honda and the Bahía Junquillal Wildlife Refuge.